Shop Wars is a team-building exercise designed to place teams in friendly competition with each other in our shops and sell as much stock as possible in a single day. We need teams of up to 5 volunteers to run one of our shops for one of our Shop Wars days. If you have a large team and want to take part in St Christopher’s Shop Wars we would be happy to organise a special day just for your company. Truly anything goes in Shop Wars and the team who makes the largest percentage increase will be awarded the coveted Shop Wars Winner Shield. This can only be achieved through creativity and passion to increase the profile of the shops that you and your team take over, driving up sales and having fun. Themes and fancy dress are encouraged – anything that can draw people into the shops. Remember that planning is key! 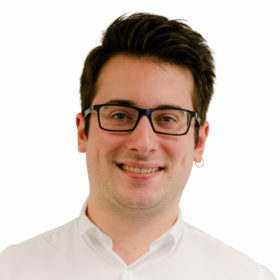 Want to do an auction or a raffle? Please let is know if you are going to be selling tickets before the day. That way, we can supply you with printed tickets that comply with regulations. Do you want get dressed up in costumes and have a theme for your day? You might even be able to source some outfits from your shop. Feel free to pop in, see the team and have a chat with them any time before the event. Make use of social media Tell all your friends, family and colleagues what you are doing and invite them to come and visit you at the shop. Speak to other companies Whether in your building or on your street, you never know how people can help. Research, research, research! If you don’t know the area, get online, visit the shop and contact the shop manager to say hello. Each team will be judged on: best dressed window display, best dressed team and the top fundraising team! 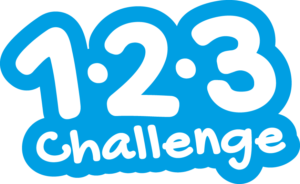 Help support St Christopher’s Hospice through the 1-2-3 Challenge all whilst having fun.